Privacy awaits here in this Unique Two Story home. Enjoy 3 Bedrooms, Full Bathroom & Laundry room Upstairs while Main Floor has a Custom Kitchen (Gas Cooktop- Stainless Steel Appliances), Hardwood Floors, Deck, Fireplace & Attached Garage. Lower Level is a Walkout Basement with lots of space (Mother as guest suite could be possible), Don't miss tiered Gardens, ample Multi-Storage Areas, WILDLIFE (Bird watching) & Pond view. 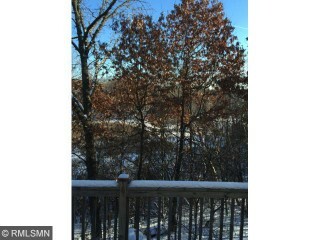 Easy access to Hwy's 94, 494, 61 - Quick Close Possible.